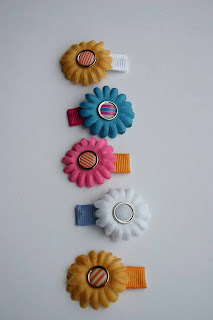 These tiny clips are just adorable and by far are the most popular off all my hair accessories! 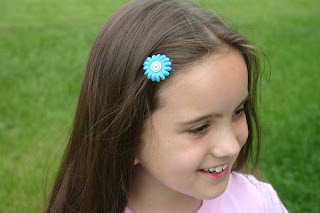 They are one inch blossoms with a decorative center placed on 1 1/4 inch partially lined snap clips. 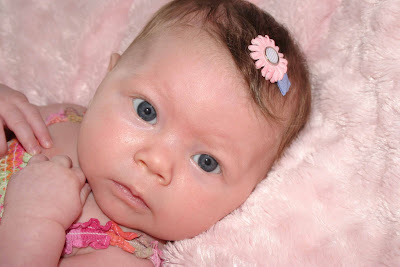 The small size and the fact that they stay in even the tiniest bit of hair, make them perfect for infants. 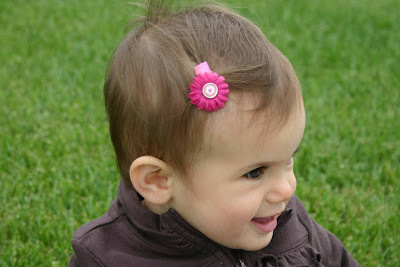 But, as shown in the photo, they look great on older girls too! 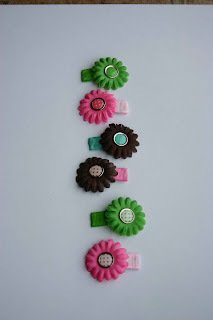 In recent days I have used added new types of flowers and centers. Contact me for a photo of what I currently have created!